“In all of this, one must remember that being a grandparent is a call from God. Over the past couple of decades, family relationships have experienced a massive redefinition. For many reasons, roles and responsibilities have changed. In past ages, grandparents were often respected for their traditional role as family elder, the patriarch or matriarch of the extended family. Now that role has expanded and become more involved with the care of grandchildren. Some grandparents joke that their role is to “spoil the grandchildren.” That is certainly not their job! Children are all too often taught that love is expressed by material goods. Christmas and birthdays have become days to count the treasures that one has received. The last thing that children need is to have this message reinforced by grandparents. This does not mean that one should not give presents, only that one should not be extravagant with them. While the presents one gives a grandchild should not be extravagant, the time one spends should be. The child’s parents are often so busy that they do not have the time or patience to give their child all the quality time the child needs. Spending time with the child improves his or her self-esteem because the child will feel that he or she is worth another’s investment of time. Grandparents must also continue in their traditional role of teaching their grandchildren how to do things. 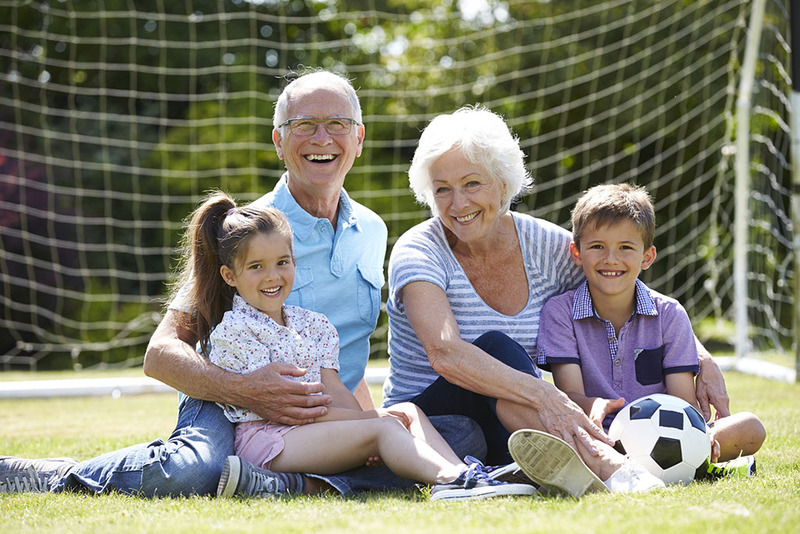 Fishing, cooking, cutting grass, planting a garden, etc., are all activities that grandparents can share with their grandchildren. It is important to let the grandchildren help in these activities as well. Admittedly, there is a cost to this: baking the Christmas cookies will take much longer and one might be nervous letting them help with the yard work. Yet, this is the best way to tap the children’s natural generosity and to teach them that families work together. A growing role for grandparents today is to be the guarantor of the faith of the grandchild. This should not be a grandparent’s responsibility. It is the role of the parents. But unfortunately many parents have failed to develop their own faith life or share it with their children. This role can be delicate. One cannot act against the direct wishes of the parents, but if they are not opposed to it, then grandparents can play an important spiritual role. A grandparent can take the child to Mass and CCD, and encourage (but not nag) parents to have their children baptized, receive First Holy Communion, and be confirmed. A grandparent can also buy religious objects and books for the grandchild. While they may be disappointed at the gift now, one never knows the effect these objects will have in the long run. Grandparents must always remember that their grandchildren are watching them and taking notes on how they act. Swearing, dirty jokes, prejudiced comments, smoking and drinking excessively are all things that children see and will probably copy. Grandparents should be careful about what they watch on TV or the computer while the grandchildren are there. One might consider doing some form of volunteer service if not for oneself, then to serve as an example for one’s grandchildren. Even one’s illnesses and weaknesses can be important lessons for one’s grandchildren. We do not live forever. We are not guaranteed perfect health. Life is precious and one must live it as such. Grandchildren can learn this from our health struggles. This will especially be true if we find a way to grow in our own faith and trust of God during these times of crises. One other concern is the fact that many grandparents feel sandwiched between various responsibilities. On the one side, they are trying to be good grandparents, sometimes being the caregiver when the grandchildren’s families are dysfunctional. The grandparents might even have divorced children of their own who have moved back into their house. On the other side, it is not uncommon for them to be responsible for their parents who are in their late 80’s and 90’s. The amount of time and care this involves varies with circumstances, and it can be frustrating. One wants to be a loving child to one’s par­ents, but one sometimes has to make difficult decisions on how to care for them. The last thing one wants is to resent all of this, but once in a while one does begin to feel that this is not fair. Just when you thought that you could have a more peaceful life, you encounter these added concerns. It is important to talk to someone about these feelings and work them out. Otherwise, they will fester and develop into full blown resentment and bitterness. In all of this, one must remember that being a grandparent is a call from God. Our loving God has entrusted these precious grandchildren into our care. We are trustees and custodians of this treasure. It is a great privilege to be involved in the mystery of their growth and development. Thank You for affirming this role,it helps us to be strong,in our commitment, to our ministry. God Blessed us and walks with us,in this witness of constant,enduring love.” Changing this world one child at a time”. God bless this ministry. We, too have had to take over the care of our grandchildren, the latest, at the age of 5 days old. I am already 74 and have not had the best of health in the last 6 years, but I joyfully accepted the responsibility that God has laid at my lap. The baby is now 10 months old an although it has been difficult at times, I would not have it any other way. I pray to God every day to give us the strength to continue on this journey. I feel blessed with my grandchildren, and would never turn my back on them.